What’s a holiday if you can’t treat yourself, ideally without worrying about every little cost. So all-inclusive travel is a great option for a singles holiday, whether you’re planning to indulge or simply want to know your budget in advance. And there are as many types of all-inclusive deals as there are solo travellers. Here are some of the best all-inclusive holidays for singles. 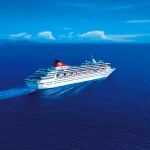 Cruising has long worked on an all-inclusive basis, so you’ll find all your meals are covered while you’re on board, plus most of the ship’s facilities. It’s worth checking specific drinks packages as well, as both soft drinks and alcohol can sometimes be excluded, along with excursions. 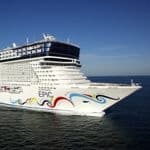 As well as a relaxed informal atmosphere and singles-only facilities, Norwegian Epic has a string of restaurants and a sushi bar on board, while Fred. Olsen pairs solo travellers together for meals, as well as offering single cabins. 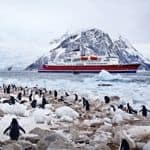 For singles over 50, Saga Travel has two cruise ships in its fleet and arranges meet-ups for solo travellers along with open seating in its restaurants and more relaxed options such as poolside fish and chips. 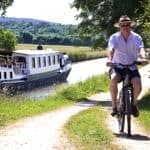 The luxury barge cruises from European Waterways have a maximum of 20 passengers, but also gourmet meals, an open bar, excursions, bike hire and spa pool all included in the price. If you want to visit historical sites, this Nile cruise from includes superb guided excursions to help you discover this fascinating country, while there are expert guides for the archaeological sites you’ll visit on the specialist escorted tours from Peter Sommer Travels, and all meals plus wine with dinner are included as you sail along the coast of Greece, Turkey or Italy. If you’d prefer to be beside the seaside than on the waves themselves, there are all-inclusive options for all kinds of singles beach holidays. Mercury Holidays is a great place to start with the option to upgrade to all-inclusive at many of its properties, including hotels in the Algarve and in Malta – both with no single supplement – plus more exotic destinations from the unspoiled beaches of Sri Lanka to Bali and Mauritius. Travel One has an all-inclusive option in Lanzarote where it runs sociable house parties for singles at the four-star Hotel Geria. 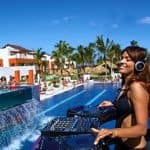 For another singles-only option, Friendship Travel has an all-inclusive option among its long-haul trips, at Now Sapphire Riviera Cancun resort. 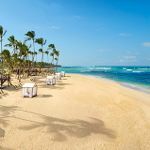 The five-star adults-only Breathless Punta Cana in the Dominican Republic includes activities as well, from mixology and Spanish to dance and kickboxing, along with premium brand drinks and a stocked mini bar. In the Maldives, there’s the option to upgrade to all-inclusive at the four-star Bandos Island Resort, with its own dive complex and spa. And while it’s rare to find spa treatments included on ships or in resorts, The BodyHoliday in St Lucia offers a daily 50-minute spa treatment along with all meals at four restaurants, drinks, watersports and exercise classes, not to mention regular events for singles. All-inclusive can be great for single parents too, so you’re not counting the cost of endless ice creams. 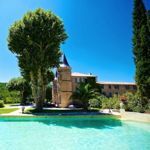 Single with Kids has a resort in Menorca just off a sheltered sandy beach as well as Alcudia in Mallorca where the kids’ club and snacks are included in the price too. And Single Parents on Holiday has some more short-haul all-inclusive options, including five-star Lanzarote. 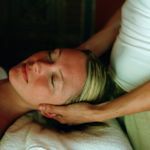 Whether you’re looking for pampering, to shape up or to overhaul your life, you’ll often find an all-inclusive option at retreats around the world. 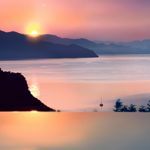 Although it might sound counter-intuitive for a weight-loss holiday but the breaks from the healthy holiday company include fitness classes and yoga along with massage and gourmet healthy food: the six-night holiday in Shanti Som, Andalucia, promises you could lose up to half a stone. And in the nearby mountains of Las Alpujarras, also in Andalucia, Cortijo Romero runs themed week-long retreats mixing anything from tai chi and mindfulness to dance, music, creative writing and professional development, as well as a day excursion into the mountains and all vegetarian meals and snacks.